Fraternal greetings on behalf of the messengers of the Cosmos: KELIUM ZEUS AND SAMAEL JOAV BHATHOR WEOR. Our purpose is to give you through this writing truths that are unknown by many humans and known by just a few. Are there subterranean cities managed by negative aliens and allied with governments of the earth? The answer is yes, they exist, and what will impress you the most is that they are more common than you can imagine. In previous writings of the Legacy of Knowledge, we spoke extensively about intra-terrestrials; who they are, and the role they have on earth. We told the history of Indians called Macuxies and other beings who know about the existence of inhabitants of the interior of our world. We also told interesting stories unveiled by the venerable masters KELIUM ZEUS AND SAMAEL JOAB: THE GREAT ADRIEL ELIDOUS, REGENT OF THE CENTRAL SUN OF THE EARTH. We would like to reiterate that we do not want to confuse intra-terrestrials, which are the ones who have lived in the center of the earth since the beginning of the foundation of our world, with many other beings who live in caves and subterranean cities, or in bubbles, and who are ancient physical and energetic demons, who repeatedly want to connect physically and try incessantly to dominate our world. The Hopi legend says there were two races: the sons of the feather who came from the heavens, and the sons of the reptile who came from under the earth. The sons of the reptile chased the Hopi Indians out of under the earth, and these malevolent subterranean beings were also called those with two hearts. Governments have signed a treaty with the sons of the snake or the sons of the lizard. 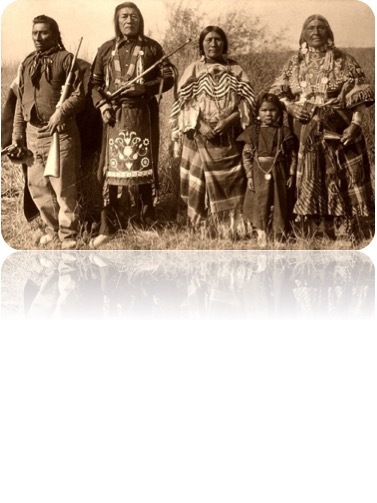 And, the Hopi Indians signed a treaty with the sons of the feather, or the sons of the 7 sisters. Gray aliens want a perfect body. For a long time, there have been cattle mutilations because these aliens have always lacked secretion organs. 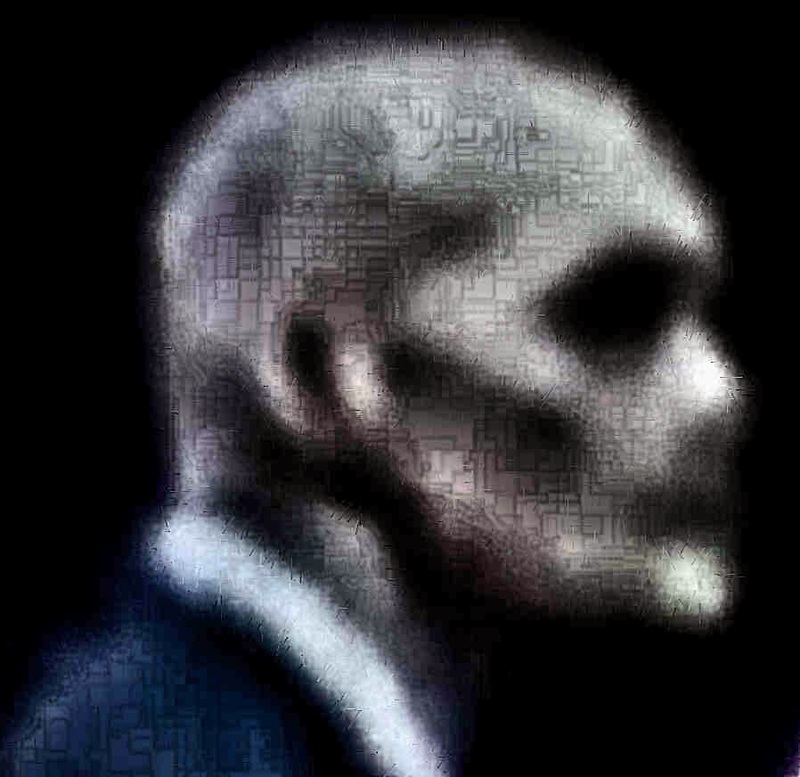 The bodies of the gray aliens are always cold, and they feed on our energies. 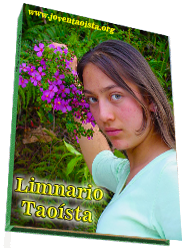 They feed on our fears, on any out of control energy, and they feed on those men who do not possess the TAO -which is the balance of all things. In the sacred scriptures, it was written that the lukewarm will be spewed from the mouth of God. REVELATIONS: 3: 15 I know thy works, thou art neither cold (son of lizards) nor hot (son of angels or the feather). I wish you were cold or hot! So, because you are lukewarm (gray) -neither cold nor hot- I will spew you out of my mouth! When you are afraid, and are out of control, gray aliens use and feed on that energy. What we can do, is to know that it is okay to be afraid, flow with it, and control it by channeling it into a positive event. “Beware of the leaven of the Sadducees’, meaning the materialistic, atheistic doctrines. That is the mind of the GRAY ALIENS. The Lord also warns against the Perfection of the doctrine of the Pharisees. This doctrine of the Pharisees corresponds to the Intermediate Mind. And, who are the Pharisees? SONS OF LIZARDS OR SONS OF REPTILES. THE KABIR OF GALILEA SAID: WOE TO YOU SCRIBES AND HYPOCRITE PHARISEES. Matthew 23:33 Serpents! Generation of vipers! How will you escape hell’s damnation? Matthew 12:34 Generation of vipers! How can you of speak good things, when you are evil? Because from the abundance of the heart, is that the mouth speaks. John the Baptist in Luke 3:7 said to the crowds that were coming out to be baptized by him: Oh generation of vipers! Who taught you to run away from the coming rage? Bear fruits worthy of repentance. THE SONS OF ALSIONE ..
Let’s step away from the leaven of the Sadducees and Pharisees and think about opening our Inner Mind. How will we open it? The doctrines of the MASTERS OF LIGHT are based on the answer to this question. LIVING IN THE NOW AND IN THE PRESENT is how the inner mind opens up and is able to function with data from the Superlative Consciousness of our Beings. Thanks to this, the truth of all the diverse phenomena of nature can be experienced. TAO is the absolute truth. Sipapu is the place that is considered by some as the entrance to the underworld of the Hopi indians. It is a sacred place of pilgrimage for the Hopi. 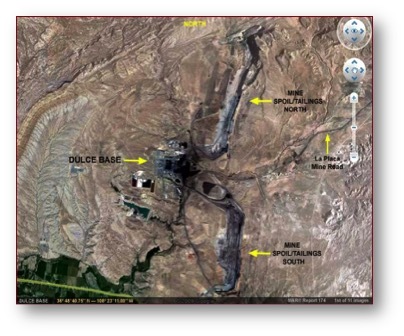 It’s located at the bottom of the Small Canyon of Colorado, and above its confluence with the Colorado River. The legend of the Hopi Indians about creation talks about three different principles. One story says that they emerged from an underground paradise through an opening called the Sipapu. A second story says they are the descendants of our birthplace near the Blue Star. The third story is related to a migration from a remote location through a large body of water. – The first story of creation says that there was a wonderful subterranean paradise with beautiful clear skies and abundant food sources. It was because of the existence of those called two hearts, the bad beings, that the Hopi, the peacemakers, sought refuge in the upper world. The underworld was not destroyed, it was only sealed to prevent the Two Hearts from emerging to the surface of the world. 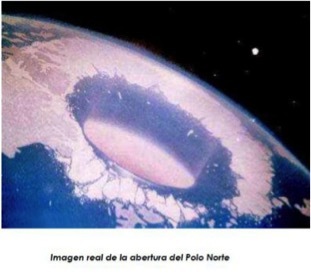 (Research is suggested; theorists of the Hollow Earth will want to see this legend more closely. At least one government agency continues to monitor the Hopi Indians, to see if and when they return to the beginnings of the earth). – This story talks about the descent of the Hopi Indians from the Blue Star, in a constellation called the Seven Sisters. This version talks about our journey to earth riding on the back of Enki, the eagle. The Grandfather or Great Spirit, allowed the first man to choose his home among the many stars in the universe. Enki told the first man about his homeland, and took him for visit. The first exploration of man on earth, convinced him that this was where he wanted his children to be born and grow up. The first man returned to heaven to tell the Grandfather of his decision. The Grandfather was satisfied and gave the first man the right to call Earth his home. Soon after, the first man returned to a green or Sakwap place, and with his family. (Many of the stories of heroes throughout time and across many different cultures refer to a group of seven brave ones. Warriors that descend from the stars often use the sign of the Seven Sisters on their shields and medallions). -This third story talks about migration from a great land across the great waters, and talks about the departure from a distant paradise. This story parallels many other legends of creation, but only differs in that no disaster or chaos were what caused the journey. The purpose of the journey was to start a new home and a new life. Some interpretations say the Hopi left their home in order to spread the teachings of the Ancients ones. – The reptile is cold-blooded, the heat of passion is not inside. They seek heat outside of themselves, and survive by stealing the heat from the fire of other things. That is the form of the reptile. The sons of reptilians have left their mark in the history of mankind. Wherever there is deception and lies, there is also fear and confusion. And, this is where the sons of the reptiles reside. Seeking to emerge in the World of the sun, they feed off the fire in others … Always remember this! Keep your fire under your control. You do this with TAO. (The fire in men burns hotter than a thousand suns. Harvest no flame, and the universe will feel your warmth). The Reptile way is one of the greatest hoaxes of all time. The serpent aspired to the Divine. The serpent wanted the veneration from men. The Serpent wanted men’s soul (his passion). Those looking for your passion … your spirit … or your soul … are the sons of the reptiles. 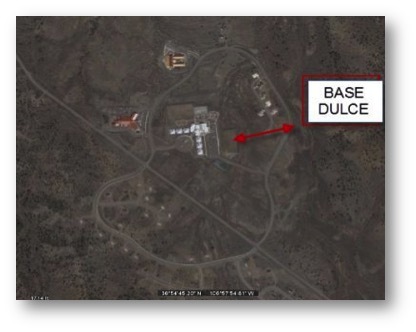 FROM THE HISTORY OF THE HOPI TO THE REPTILEAN BASE IN DULCE, AZ. Part of Thoma’s work was to go to different places of a base, and align the security cameras for monitoring when necessary. This gave him the opportunity to venture out and witness things that made him question his imagination. Astral travels or of the spiritual body and travel manipulation. Recognition of the memory of the human brain, acquisition and transfer. LEVEL THREE was like a hospital. There were surgery rooms and experimental laboratories where fetuses were taken from the abductee women and were put in vertical and horizontal incubators. Each one would play a role the hybridization process. In some (incubators), the babies were just like humans. In others, the babies were horrifying and seemed as if they had been taken out of a horror movie. There were cages with babies and other bugs. 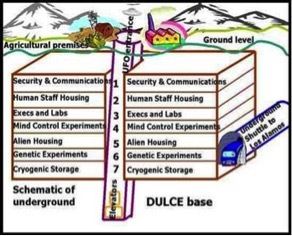 The following video is about Thomas Castello and the Dulce base. Level four had enormous genetic laboratories where half human and half animals were created. On this level, the terror that was seen is to make anyone run. There were some indescribable monsters. There were laboratories investigating the manipulation of the nervous system. There were children and women on stretchers. Some were dead, some sleeping, others were tied to stretchers while screaming and seeming agitated. This is where almost all of the missing children go to. Gray aliens lived on levels five and six. The lower grays lived on level five, and level six looked like military barracks or a shelter. Once the fetus was formed, it was taken out by caesarean section, without waiting for the woman, and without waiting for the nine months. I did not find out the period of time but I think it was four months or less … it varied depending on whether it was going to be a gray baby. If it was similar to a human hybrid, then it would be about nine months. Grays also lived on this level. On this level, I saw something strange. I watched a gray disappear in the air or change shape. I do not know if they use holograms or they actually change, but my impression is that they have invisibility techniques to then become human holograms. Grays exist in our world to make us parasites. On levels eight and nine, they kept UFOs, different kinds of technology, invisibility devices, teleportation chambers; mental scanners that can see your dreams, thoughts, past lives; holographic projection devices, and alien or human weapons. The entry here was restricted. Levels ten to twelve were where the experiments and rituals were conducted. Level ten was also dedicated to the human aura research and paranormal abilities that grays use for telepathy, telekinesis, and teleportation. In this area, there were hundreds of enslaved and imprisoned children and women used for experiments or torture. 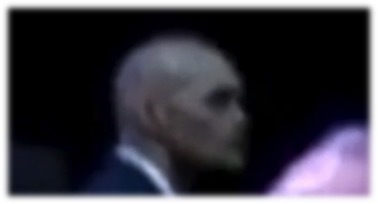 Grays work in collaboration with reptilians to control and make humans parasites. The small grays are like the hard workers, or “tax collectors” who do the dirty work. 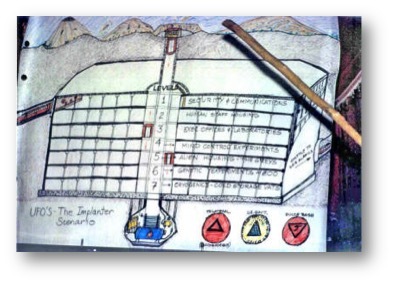 Arizona, New Mexico and the area where Arizona, Utah, Colorado and New Mexico meet, are some of the most important places on Earth for subterranean bases controlled by Reptilians. Why these places? Because since many centuries ago, the sons of lizards left their descendants there. And, the REPTILE force was so strong that the WERSHALEM asteroid that ended ATLANTIS was driven to fall into that area; as our Venerable Masters taught us. And, that is where Dulce is located now days. Phil Schneider was a geologist and engineer, the son of a German captain of U-Boot submarines during World War II, and he said he was given the task of building several deep subterranean bases in the United States. Phil survived an armed conflict in 1979 between Gray aliens and Armed Forces, at a subterranean base in Dulce. This was during a time when he had to help build an extra section of a subterranean military base in Dulce, which is probably the deepest base of all, and got into one of the holes of the base to remove rock samples. 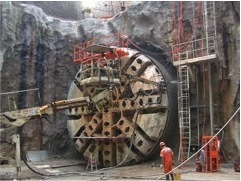 The tunnels of the base were built with fast underground technology, more specifically with a nuclear-powered machine that melts the rock and forms tunnel walls. Something else worthy to note is that reptilians seem to feed on nuclear energy. Phil died under very suspicious circumstances; it was made seem as a “suicide”. 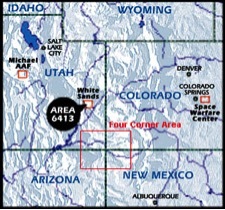 Schneider said that the Denver Airport was connected to a deep subterranean base that came down to at least 8 levels. And, that it included an extensive 7 square kilometers subterranean base. Since the 40s, the US military has built at least 129 subterranean cities, which are interconnected with each other. 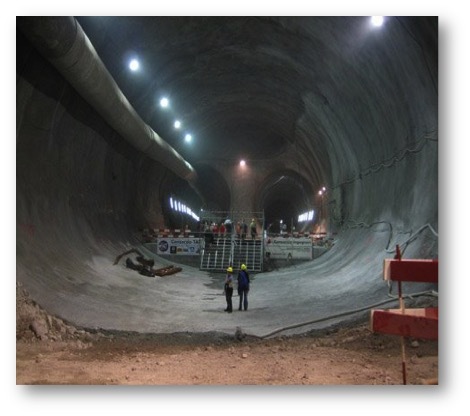 We invite you to research about Phil Schneider, Subterranean Cities and the black market. The following video is a documentary about Phil Schneider. 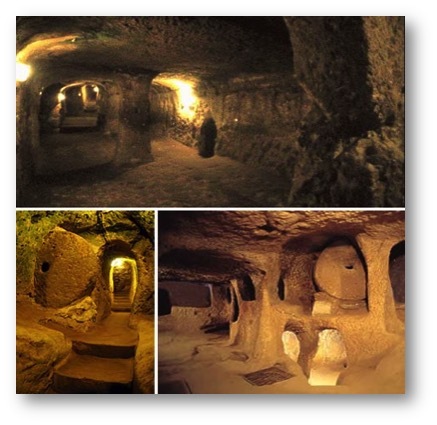 There are many subterranean cities across the globe. There are eyewitness, for example, that report giant humanoids sighted at the Hal Saflini catacombs in Malta during the 1930s. These were closed after a group of schoolchildren and their school guide disappeared. More than 30 ancient and complex tunnels and subterranean cities have been found near Derinkuyu in Turkey, which is believed to be connected with its neighboring city Kaymakli. And, like these examples, the list goes on. 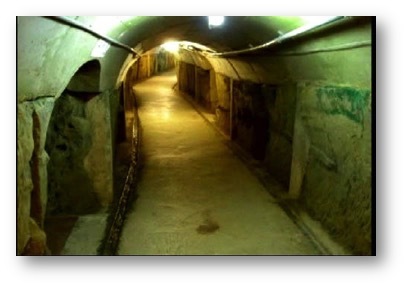 The following video is a documentary about secret underground bases. 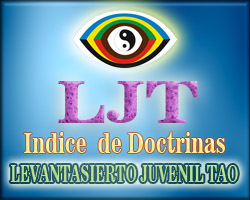 • www.arkangelmiguel.org (it’s in Spanish). 160 queries in 1.387 seconds.